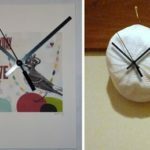 How To Make A Personalized Clock? 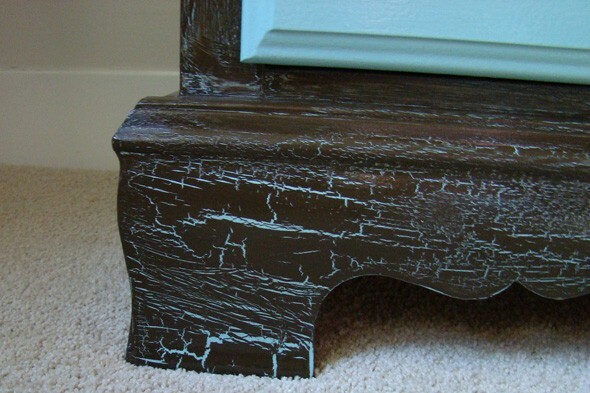 Crackle painting is a type of faux finishing technique can give a newer piece of furniture or accessory an instantly aged look. It’s a great way to tie some more antique-looking pieces into your décor without worrying about old paint flaking off. Faux finishing kits can be pricey — but budget DIYers, take heed: I have an easy, low-cost alternative method can try. It requires two main ingredient that just about anyone has easy access to plain old white glue mixed with some water. Prep the piece: First, with a damp rag, clean and dry the piece that you want to crackle. Paint once: Paint a solid base coat on the piece and let it dry completely. Mix glue and water. All you need is plain white school glue. For a small piece of a chair or stool, I use ten parts glue to one part water. Apply glue mixture. Use an inexpensive paint brush or foam brush from a craft store to apply a thick coat of glue to the surface of the piece. The thicker the coat, the bigger the cracks will end up once you paint over it. To vary the finish, put thicker coats in some areas and thinner in others. It will make the piece look like it has aged over time rather than looking like you crackle painted it yourself. Let the glue dry but still be tacky to the touch. It will take about an hour, but make sure the glue dries until it won’t crack when you paint over it. Apply more paint. Once the glue has reached is tacky to the touch, paint over the glue with a coat of a different colored paint. Use long even strokes and try not to go over an area more than once. As the top layer of paint dries, you’ll see the cracks forming in the finish. If you want to achieve an even more aged look, apply a thin coat of paste wax once the paint has completely dried.